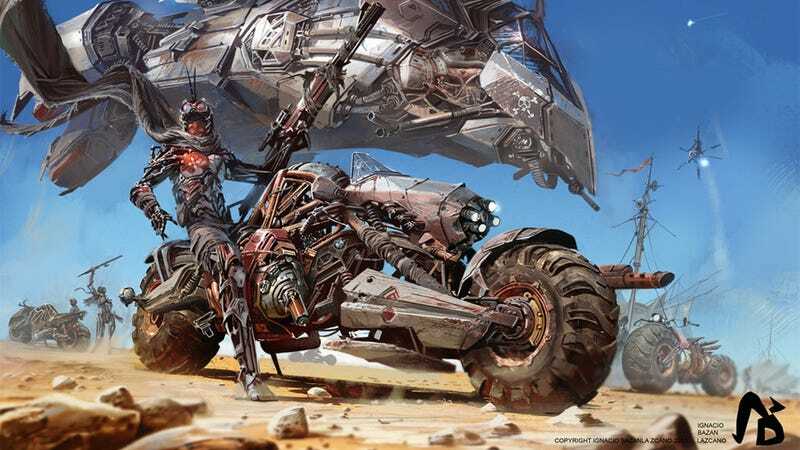 Rebel Bikes is a series of amazing post apocalyptic illustrations by artist Ignacio Bazán Lazcano, with really badass bikers and vehicles. They're on the same level as actual video game concept art, but sadly it's just the artist's own project. It could be great for a game with heavily pimped bikes, though.